You will find your key ring immediately with this attractive bag pendant. 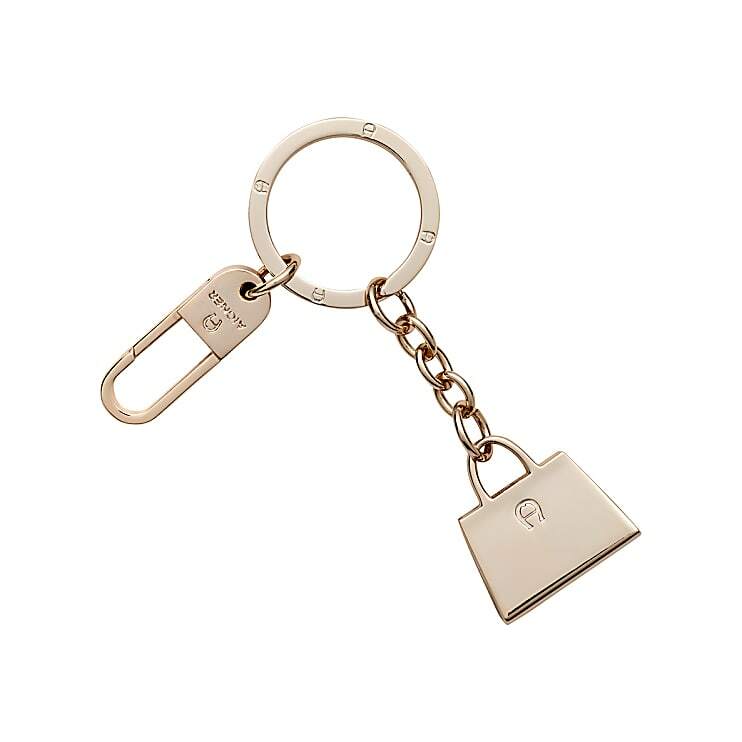 The miniature bag is attached by a small metal chain to the key ring. 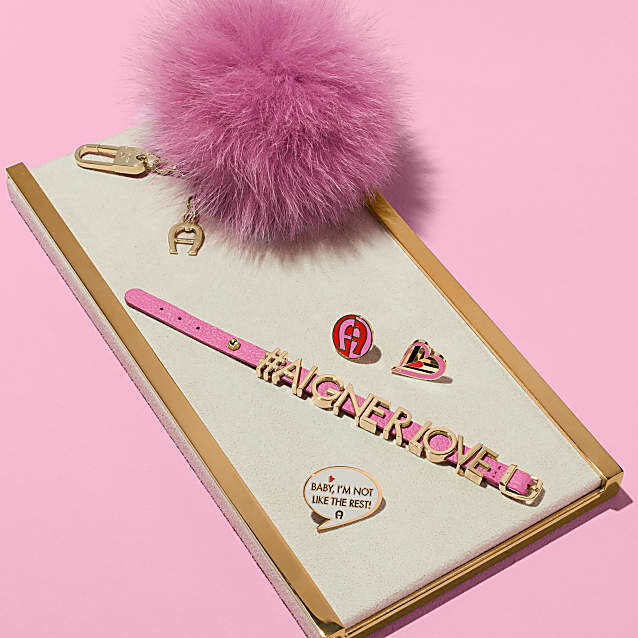 Every bag can be personalised a little using the spring hook. The AIGNER-logo is finely printed on the miniature bag.